The Battle of Culloden went down as one of the bloodiest, most one sided fights to ever occur in history. 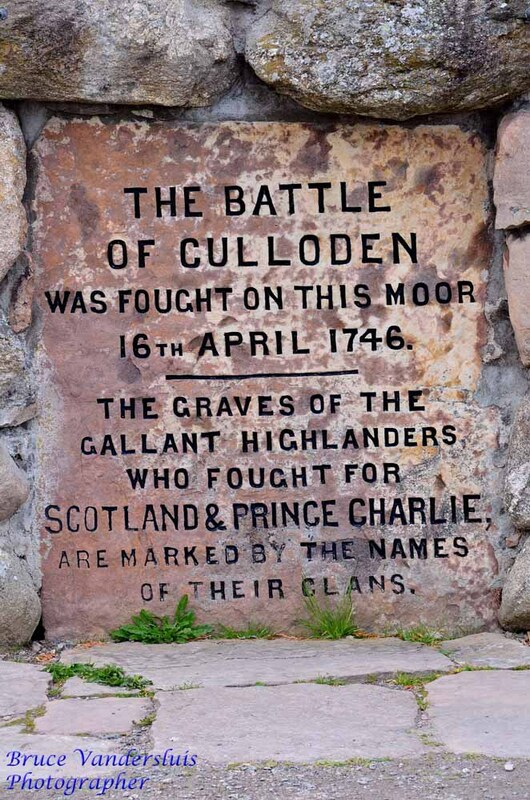 On 16 April 1746, the Scots and the English met in battle on Culloden Moor (previously called Drumossie Moor). It is hard to believe that what is a beautiful, windswept moor today was the scene of such a bloody, brutal battle some 270 years ago. The Jacobites (both English and Scots) were the supporters of King James VII (of Scotland) and II (of England) and his heirs. The cause had been secretly agitating and gaining support for many years however at the time of Culloden, the Jacobites were fighting to restore the young Pretender, Bonnie Prince Charlie to the throne. Prior to the battle, the clansmen had marched from London and were cold and exhausted. This resulted in them being no match for the well fed, well trained and incredibly well equipped Duke of Cumberland's English Hanoverian regiments. 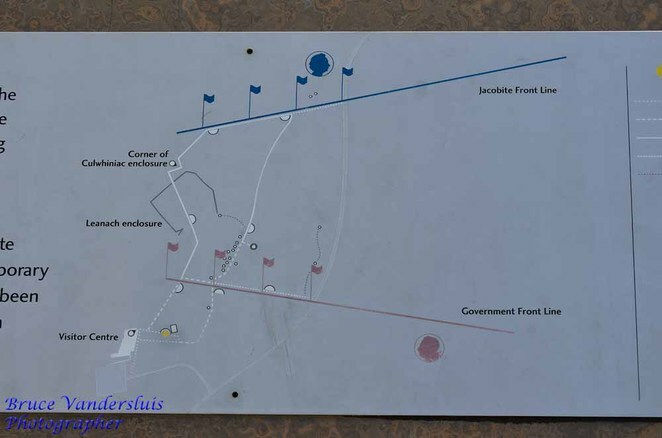 Fierce hand to hand fighting occurred at the height of the battle and it is believed that thousands of Jacobite soldiers were killed. 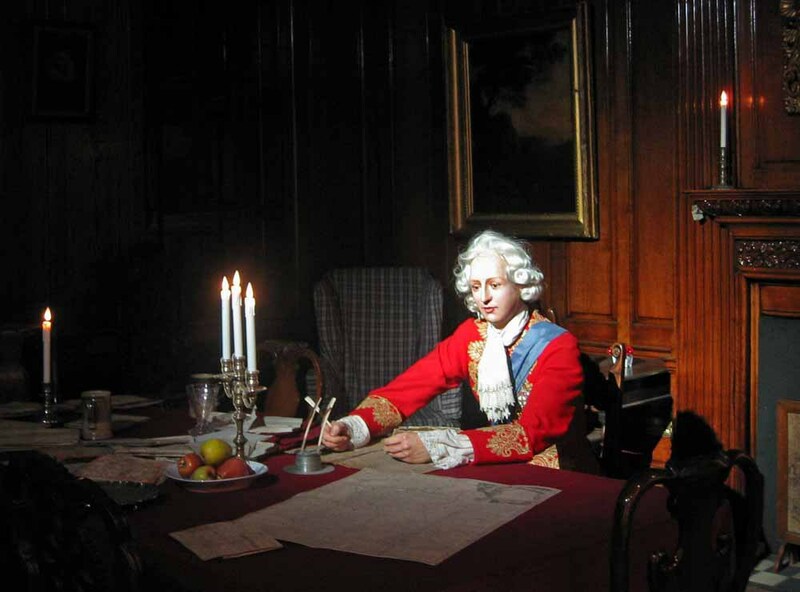 The Jacobites did manage to break the government line initially, but they were forced back with tragic consequences. It took less than an hour for this massacre to occur. Archaeologists have found many relics here including musket parts, pistol ball and buttons. All of these are evidence of desperate close range fighting. Reputed to be haunted, for me the moor did not have a ghostly feeling but more a feeling of great sadness. It is not clear whether this is because of what we know happened here or if this sadness simply permeates the environment from the incredible emotion of the battle and its result. I can almost hear the bagpipes playing and the calls as these brave warriors charge into battle. 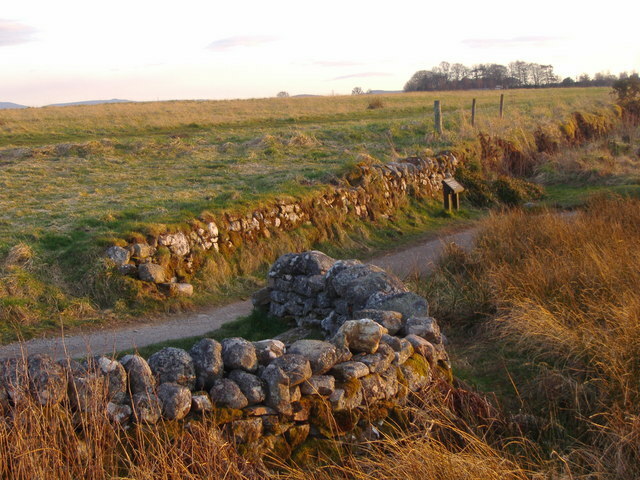 There is a large cairn in the field, which was erected in 1881 by Duncan Forbes, the kinsman of Hector Forbes who later placed the cairn in the hands of the National Trust for Scotland. There is no doubt that even 135 years after the event, passions about this conflict remained. As you wander around this very large field, you will find stones which have been used as grave markers for large amounts of people and families (clans) who have been laid to rest together; and then there is the Mixed Clans stone for those clansmen who were buried indiscriminately. The stones were placed by Duncan Forbes of Culloden in 1881, where tradition noted the Highland dead were buried in trenches. The stone erected for the English simply says "Field of the English They Were Buried Here", showing that even at that time, feelings about this battle still ran hot in the blood of the Scots. 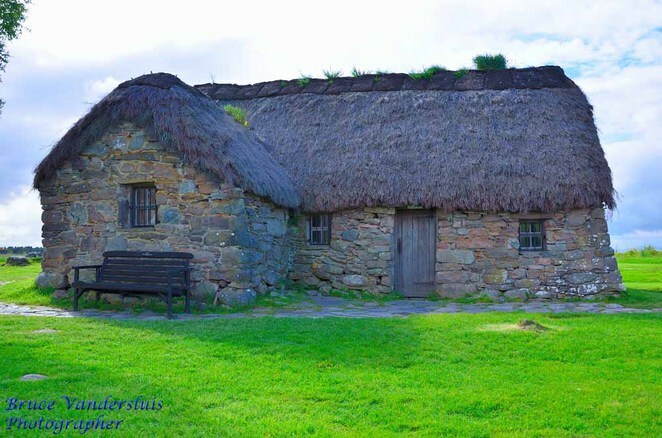 Leanach Cottage still remains and is said to have been built on the site of farm buildings which are shown on almost every contemporary battle map of Culloden. It is reported that a cannon ball was recovered from the wall of the cottage more than a hundred years ago. 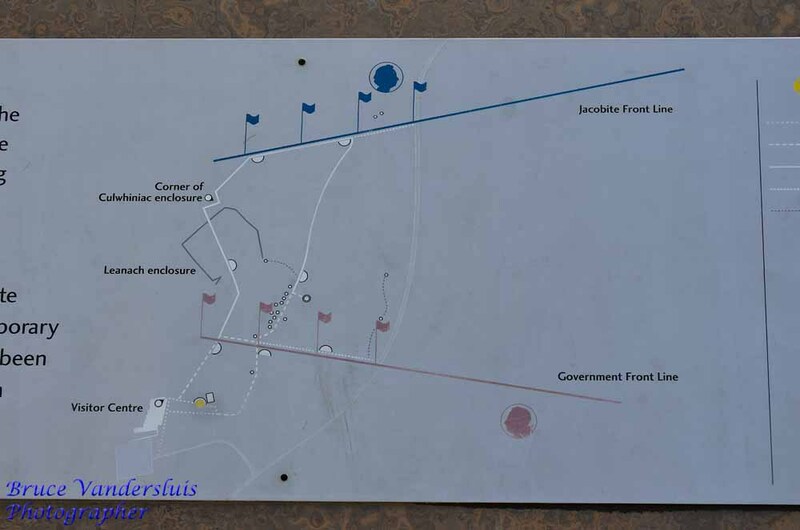 After charging the Government lines, the government second line used the farm buildings for cover, forcing the Jacobites to retreat. 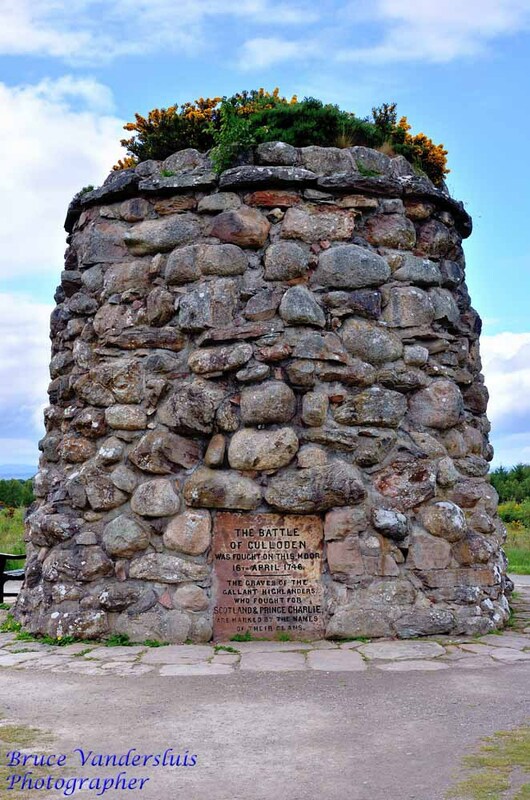 The loss of any life in battle is devastating, however for the Scots in 1746 the loss of their loved ones fighting for justice and what they passionately believed in resulted in more Jacobite than Government men being lost. 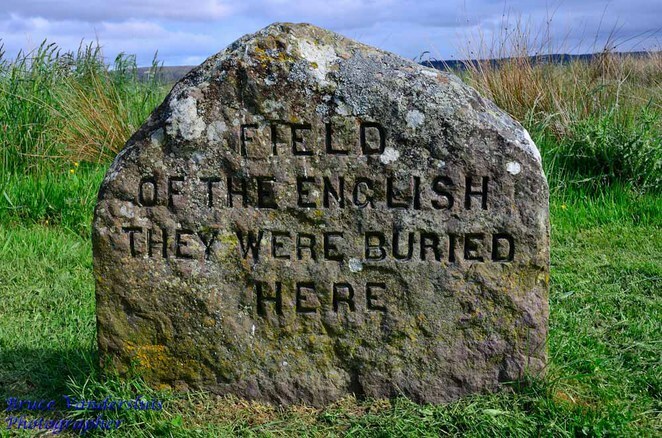 For me being of both English and Scottish descent I feel great sadness on this field; for the loss of the brave Scottish Highlanders fighting for what they believed was right and for the resultant attempts to disarm the clans through legislation which forbade the carrying and concealing of arms and the wearing of Highland clothes (plaid, kilts). The Visitor Centre, Restaurant and Shops are open 10 am - 4 pm February and March, 9 am - 5.30 pm April and May, 9 am - 6 pm June to August, 9 am - 5.30 pm September and October and 10 am - 4 pm November to 23 December. They are closed from Christmas Eve and all of January. The Battlefield itself is open daily, all year round. Cost is Adults £11, Family £26,Concession £8.50, Single Adult Family £22. 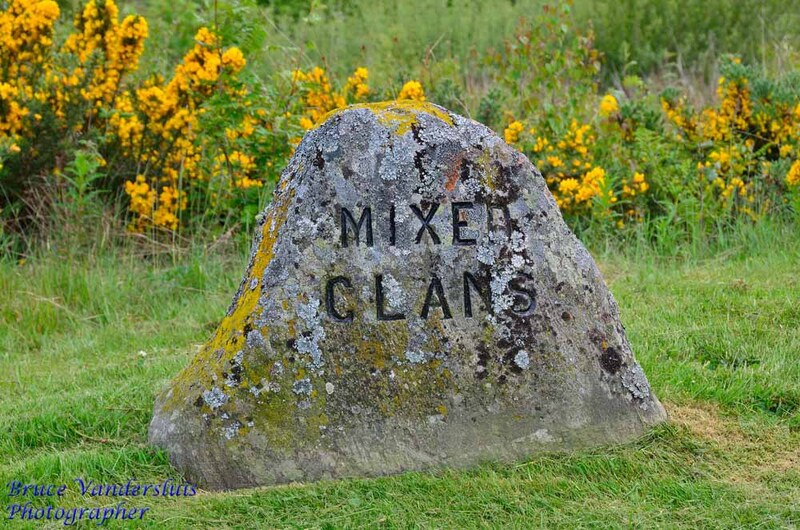 Culloden Moor and the Visitor Centre provide a detailed and intriguing account of this critical time in history which is well worth the time to visit. Take your time wandering the moor; there are seats placed about, why not sit a while and listen to the echoes of the bagpipes reaching across the centuries. You never know just what you might hear.